This 5 Star property is strategically situated in the town center of Al Ain. 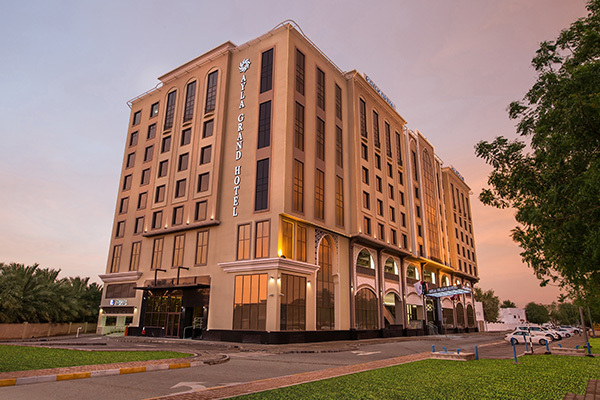 Ayla Grand Hotel is the highest hotel in the city and is within walking distance from major attractions, business centers and shopping stores. AL Ain Mall is just across the road from the property. 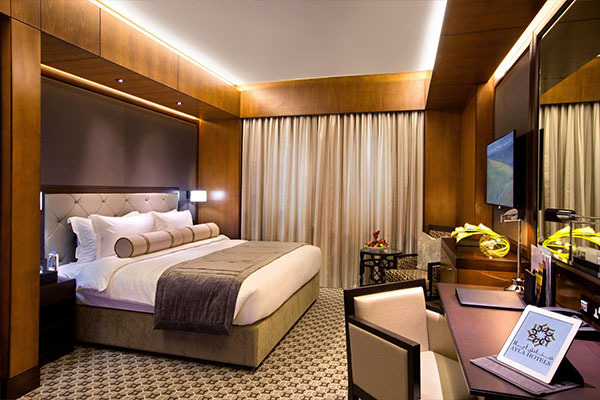 All rooms and suites are richly decorated; keeping in mind comfort and elegance. 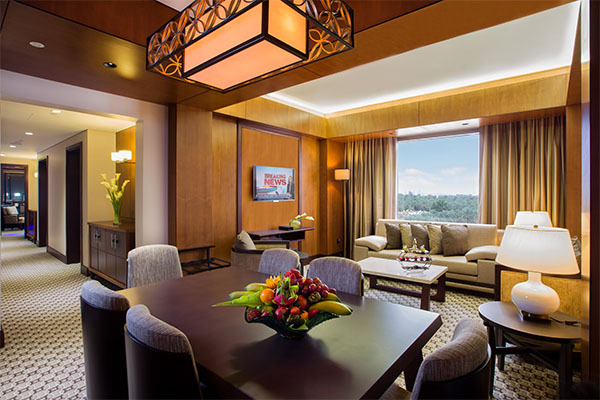 Choose from a variety of room and suite types; classic, deluxe to two and three bedroom suites. All are equipped with the latest technology including a lighting control panel and options of both a standing shower and spacious bath tub. 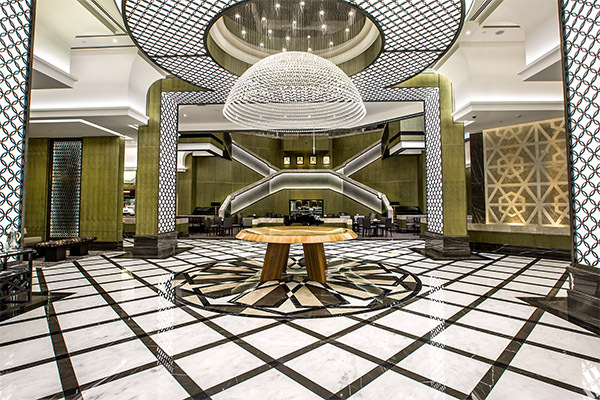 The spacious Pearl Ballroom of 264m² accommodates up to 200 guests for all types of business and social occasions, tailor made to match any requirement. The additional boardrooms are perfect for smaller gatherings. 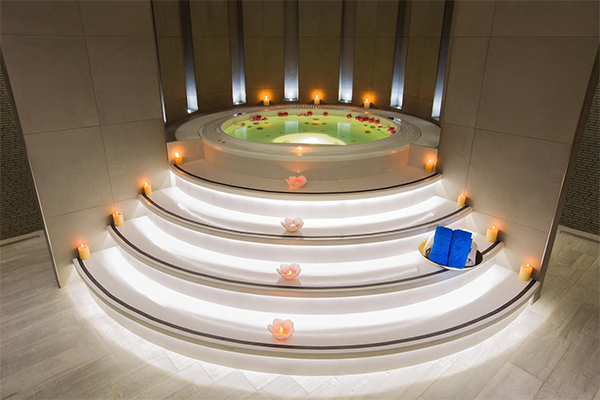 Stay fit in a fresh atmosphere with natural daylight at the fully equipped Pulse Health Club gym with the latest technology or relax and rejuvenate your body and soul at the Pulse Spa complete with a couples massage enclave as well as a separate Jacuzzi, steam room and sauna for men and women. Professionally trained therapists will soothe all types of aching muscles and joints. Cool off with a refreshing dip and enjoy stunning open air views from the rooftop pool overlooking the garden city. All-day dining Nara Restaurant serves generous cuisine for breakfast, lunch and dinner. Nara Restaurant is the perfect place to sit back, relax and enjoy excellent quality cooking with personalized and professional service. 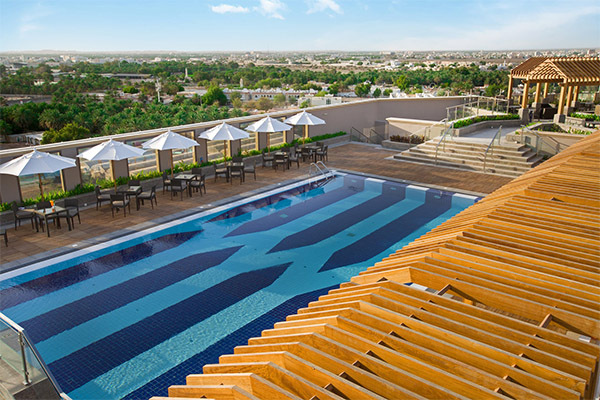 Chill under the sun or stars and appreciate the outdoor atmosphere at our rooftop Sky5 Café that overlooks the swimming pool and entire Al Ain. Tamra Café represents an upmarket tea lounge with traditional Arabic undertones. You can unwind here after a long business day or just get together with friends to share a cup of coffee and taste a wide array of desserts and aromatic tea.